I was on YouTube yesterday and noticed Google's Nexus One channel released a new video. The title looked like it had not been edited because it used underscores instead of spaces and it ended with the file extension. The video showcased a New York Times app for Android running on the Nexus One with the user flipping through news articles and using the widget. 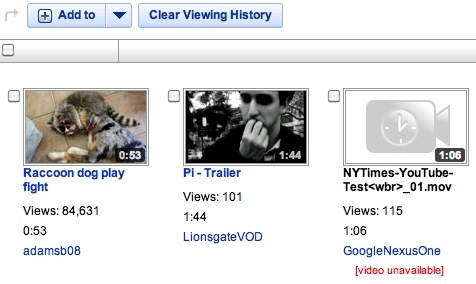 The video has been pulled and I can't find it on either Google's main or Nexus One channel. The New York Times application for iPhone is one of the best free apps from Apple's App Store, so it's not surprising to see that Google wanted a similar application for Android. "The NYTimes application for Android has a unique video display experience, font size adjustment and the ability to share articles via e-mail, SMS, and social apps such as Twitter and Facebook. 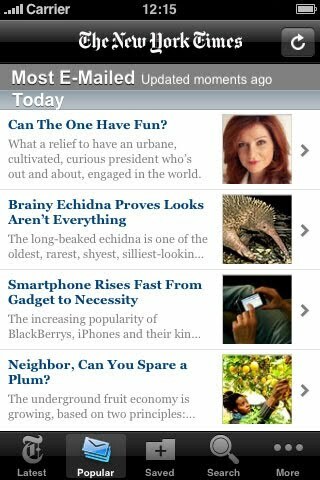 The NYTimes application for Android works on Android smartphones with operating system version 1.6x or higher. It's available for free at the Android Market (app store). On your Android smartphone, visit nytimes.com/androidapp to download the application." I'm betting that because it is being demoed, it will come as part of 2.2. That way New York Times gets a high install base on whatever phones get upgraded or come out with 2.2. That would make porting the app over in just as high quality worthwhile (for NYT).